Heavy clashes are continuing in the south of Tripoli, leaving 600 people in Qasir bin Gashir detention center still in need of rescue. Men, women, and children are without food and water. Some are reporting that they have not eaten since Thursday. 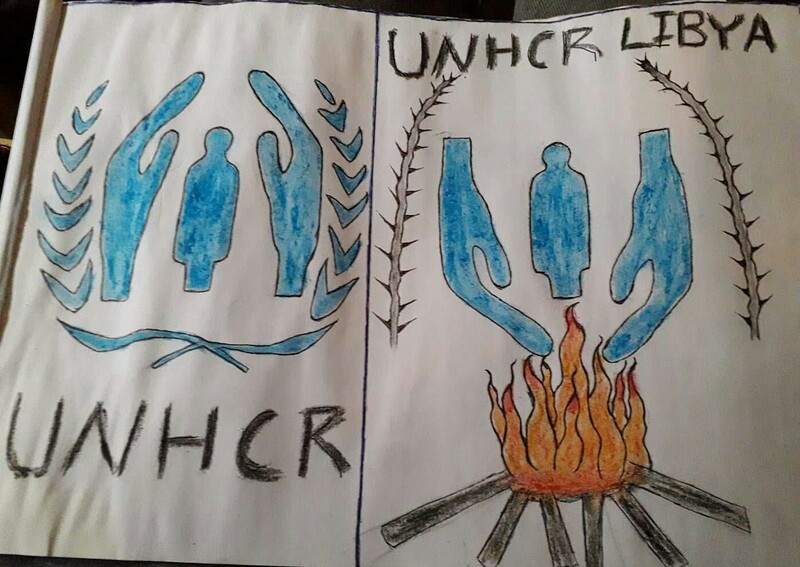 In total there are 1,300 refugees in detention centers in Qasr Ben Gashir & Ain Zara all affected by the conflict. IOM has now suspended its activities due to the escalation of fighting. 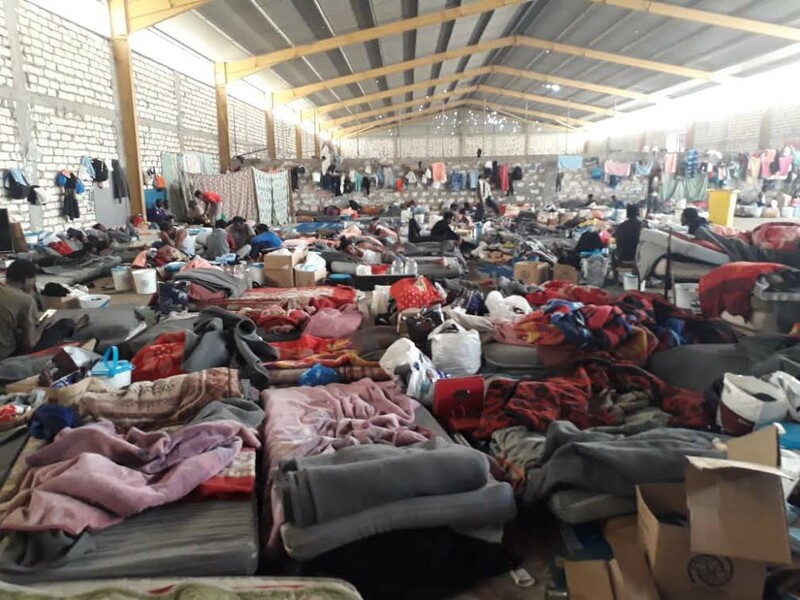 UNHCR managed to relocate over 150 refugees from Ain Zara, in southern Tripoli, to UNHCR’s centre up north. Their safety is up in the air still considering they are still in Tripoli. Also, UNHCR left 120 people behind in Ain Zara, who are still scared for their lives. 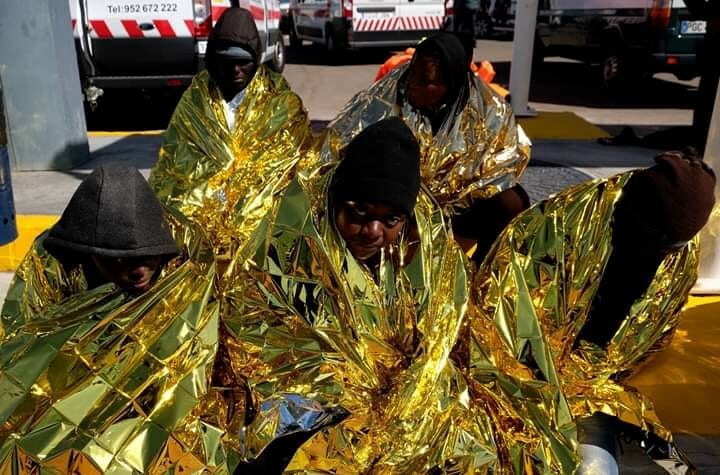 Europe’s continued funding for the Libyan Coast Guard to curb migration, while ignoring the instability and disastrous situation for people trapped in detention centers, is failing. Protecting human rights must come first! Yet there is serious concern that a rise in migration from Libya will result in more right wing party leadership in Europe. It seems everyone is trying to take advantage of the chaos in Libya, while the human cost, particularly for those trapped in detention, is only increasing. Alarmphone has released a summary of the 5 distressed calls they received last week. “Four boats reached Greece while one group was returned to Turkey.” 3 people died close to Rhodes, but they do not have further information. Find out more about the 5 calls here. Alarmphone has also released their 6 Week Report for February 4 to March 17, 2019 “The European Industry of Hot Returns by Sea.” The discuss the offensive that the Eu has conducted in the western Mediterranean. Find out more here. Alan Kurdi needs a port of safety! Refugee Info is providing support on how to receive financial support from the government if you’ve declared your taxes. Find out more here. A sad story of hope coming from No Name Kitchen team in Patras. Please find out more here how you can help them distribute food and take care of laundry, providing some form of human dignity. “A few weeks ago, rumors began to circulate that the borders of northern Greece would be open, allowing refugees to cross into the rest of Europe. Over the weekend more than 1500 people gathered near Diavata camp in Thessaloniki, waiting for the rumors to be true in order to leave Greece. Refugee Support EU is reporting that people are starting to leave camps in Greece in protest. A 28-year-old Gambian man named Gaye Demba, hanged himself at a reception center in Turin, claiming he had “wounds that weren’t able to heal.” The psychological trauma of the refugee experience is profound and can lead to devastating consequences. Europe must be kinder. Hundreds of new arrivals are came to Italy in the past few days through the Balkan route. Ports have closed, but people are still finding ways. Find out more here. State announced more police inspectors at the bus and railway stations in Sarajevo and Tuzla due to an increase number of people arriving. “We will take biometric data from each migrant. We will not allow persons who are not registered to walk across BiH. Tonight we move into action and our people will be on the ground,” says Slobodan Ujic, Director of the Foreign Service Department. However, it remains unclear how this will be done. Additionally, people who are assisiting to people on the move ariving to the country, are saying that there is hardly anybody who do not register upon entering the country. Registering allows people to drive in a public transportation or stay in hotels and hostels. However, Bosnian government for many months insist on claiming that they do not know identity of people who are coming, and that they are not registered. At the same time they are issuing numbers showing how many people are registered. This approach is part of intimidation and fear mongering coming from the government, and the media controled by the political parties. At the same time, they talk about alleged increase of the crime associated with the people on the move. An independent source — Izbjeglice u Velikoj Kladusi news blog — gives a proof of these tactict, that unfortunatly are working. 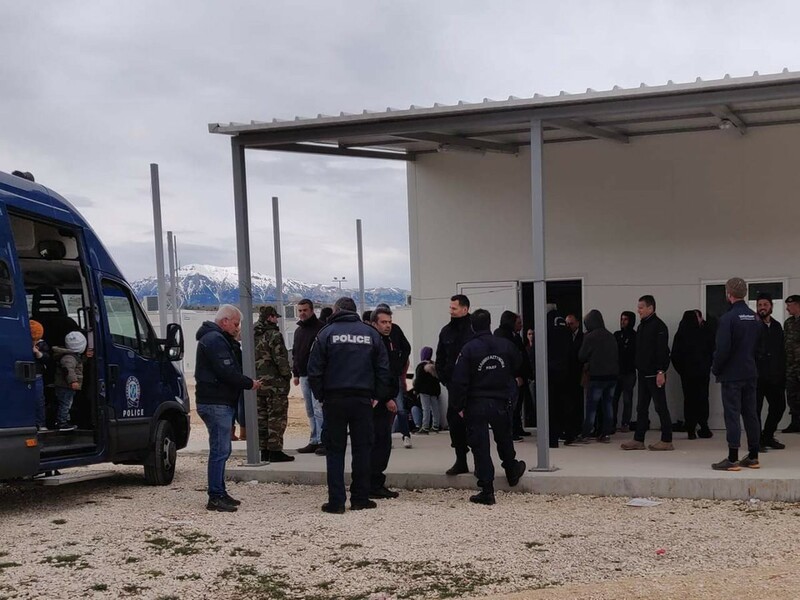 “The number of crimes recorded in these places during 2018 is almost identical to that of 2017 when migrants were not in the this area at all,” cites Refugees in Velika Kladusa (Izbjeglice u Velikoj Kladusi) news blog. One person, a young boy from Libya, was found under a bus in critical condition. Apparently, in Sarajevo he sow the bus with Italian license plates and assumed he could arrive in Italy. Instead, he ended up in the far east of Bosnia, city of Srebrenica, where the group from Italian tourists were heading to. 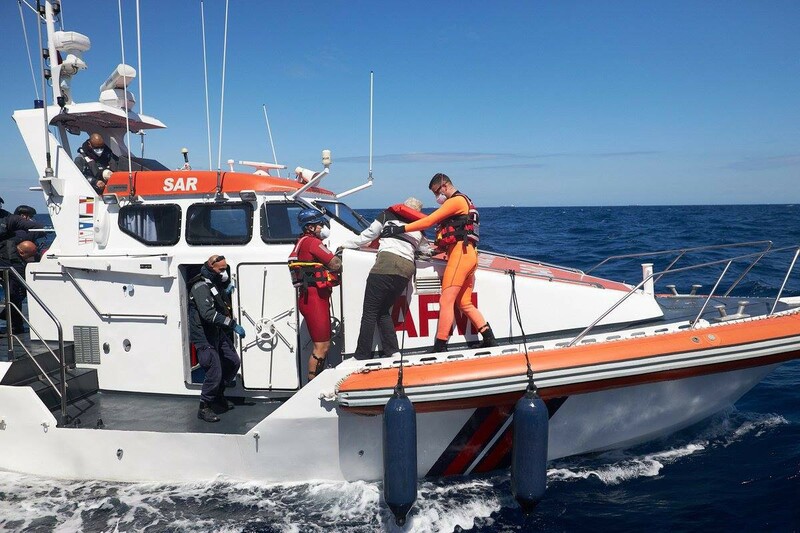 He was found in a critical condition and taken to the local hospital. Find out more here. According to the UNHCR, the Asylum Office of the Ministry of Interior, ruled on 15 asylum applications during March, granting protection to 11 and rejecting 4. So far in 2019 only 25 people have been granted asylum in the country on the edge of the EU border, hosting thousands more people seeking refuge. Care 4 Calais is reporting that 50% of the people they support suffer from dental pain. While a common and treatable ailment, refugees often do not have access to simple health care to help with the excruciating pain. They were visited by a group of caring dentists over the weekend, but need support in continuing to provide basic services. Find out more here. Refugee Community Kitchen needs donations to continue providing hot meals with rice. Apart from daily news in English, we also publish weekly summaries in Arabic and Persian. Find specials in both languages on our medium site.